You asked for it and here they are! Order these awesome new hitch covers as part of our incredible Black Friday Sale. All orders that are part of the Black Friday/Cyber Monday sale will start Shipping Monday the 27th. Need a bulletproof Hitch Cover? 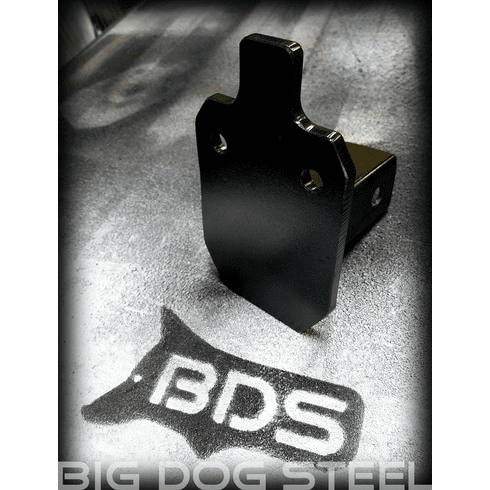 Big Dog Steel has your "6" covered. Hitch Covers are 3/8" Thick AR500. The same Heavy Duty Domestically Sourced AR500 that we use in the rest of our Big Dog Targets. Available in Black and White Industrial Enamel. As always shipping is INCLUDED in the price!